The Prosecutor’s Office for Organize Crime said it is waiting for more expertise before deciding whether to pursue the case of a man arrested on January 13 and supected of planning terrorist attacks in the name of ISIS. Serbia’s Prosecutor’s Office for Organize Crime said it is awaiting more extensive expertise before deciding whether to take on the case of man recently arrested by the police and allegedly planning a terrorist attack. The man in questi0n, Armin Alibasic, was arrested on January 13 in the southwest Serbian city of Novi Pazar in Serbia’s mainly Muslim Sandzak region. After receiving more expert advice, the Prosecutor’s Office told BIRN, “we will decide whether we will take over the case”. The Serbian Interior Ministry did not reply to questions about the case by the time of publication. Media reports said the police action in Novi Pazar was conducted in cooperation with Serbia’s security agency. 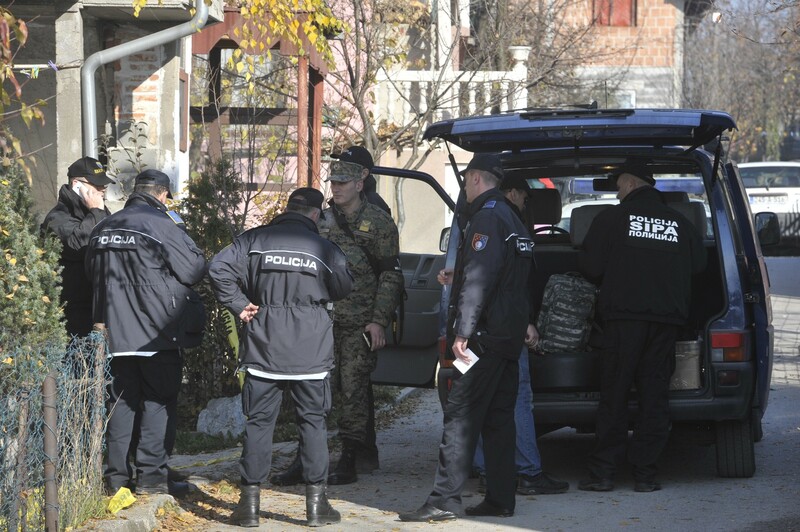 The daily newspapers Blic and Kurir reported that, during the raid on Alibasic’s house, police found an improvised chemical laboratory with a large amount of chemicals and other elements intended for the production of improvised explosive devices. They also found a manual for making explosive devices, notes about various cities and their distances from Novi Pazar, the flag of the terrorist organization ISIS, Islamic state, and some improvised targets. Media reports said that Alibasic was connected to a Novi Pazar-based religious movement called Da’va Team. BIRN tried to contact it but received no answer by the time of publication. In a report in September, the US State Department described levels of ISIS activities in Serbia as low. Serbia has also not suffered any terrorist attacks. “The main terrorism threats in Serbia remain the potential movement of money and weapons through its territory, returning foreign terrorist fighters, and [Islamist] radicalisation,” the State Department report said. However, the Special Court in Belgrade in April 2018 found seven people guilty of terrorism and of cooperation with jihadist groups in Syria and Iraq.